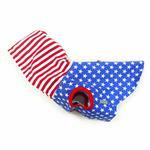 Show off your Easy-D USA Dog Hoodie by Dogo with patriotic pride! 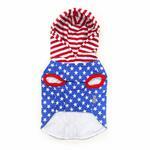 Your patriotic pup will be the best looking dog in this Easy-D USA Dog Hoodie by Dogo. 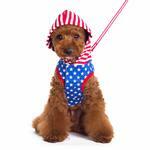 This unique collection features a fresh new design, combining the functions of a harness with trendy styles. 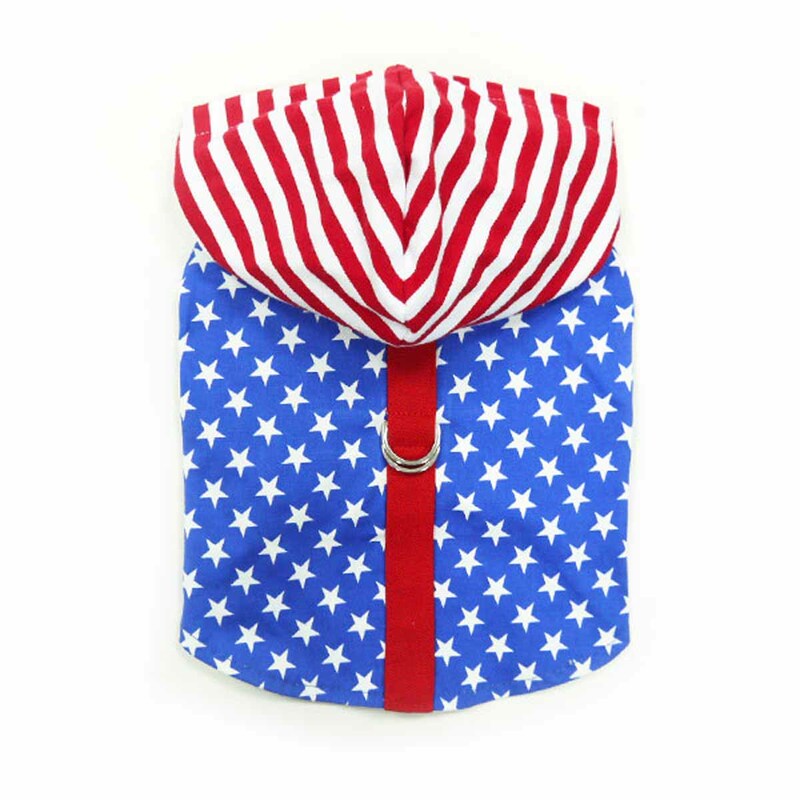 Each style has a strong touch fastener fastening across the chest and belly which makes them very comfortable to wear, as well as easy to remove. D ring attachment on the outside allows for simple link or removal of a leash. 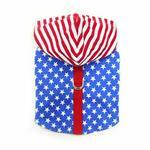 Great for special occasions and pictures! 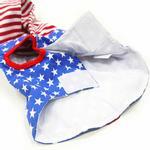 Easy-D USA Dog Hoodie by Dogo Customer Photos - Send us your photo! Happy July 4th and Happy Birthday America! Posted On 06/09/17 by Jane D from El Cajon, CA Yes, Jane D recommends this product! Dogo never let's me down. Their consistent sizing never leaves me in doubt. They always fit. Posted On 02/07/17 by Nancy W from SAN MATEO, CA Yes, Nancy W recommends this product! Fit great! Adorable. Nice quality. Posted On 01/12/17 by Nancy W from SAN MATEO, CA Yes, Nancy W recommends this product! LOVE IT! 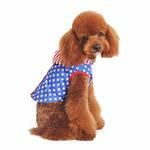 I have three poodles and I ordered these for them! They look so cute!!!! True to size and good quality!